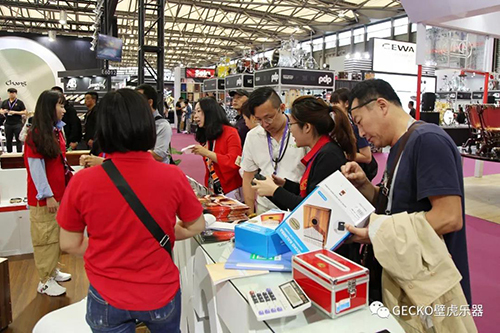 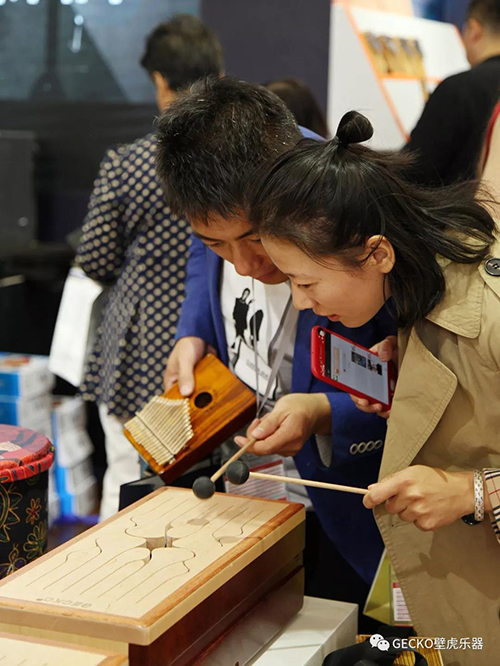 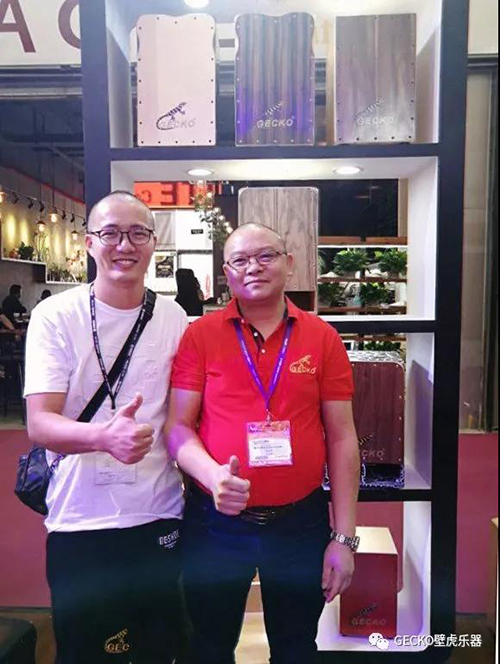 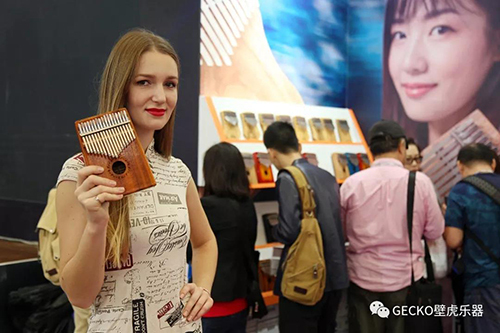 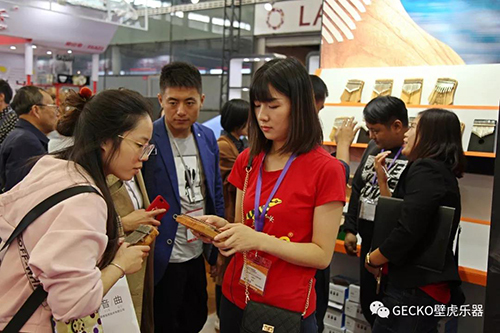 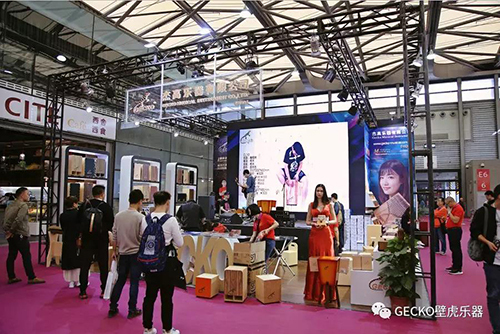 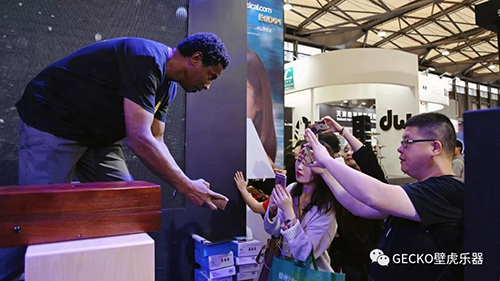 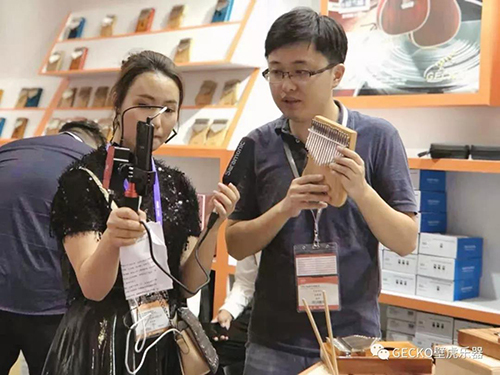 From Oct. 10 to Oct. 13, 2018,As the first professional manufacturer to produce Cajon Drum and Kalimba in China , Gecko has brought its Cajon and Kalimba and other new listing to Shanghai Music China held in Shanghai New International Expo Center. 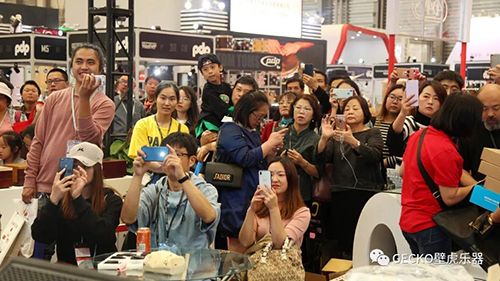 and showed its dominating charm to domestic and foreign music lovers. 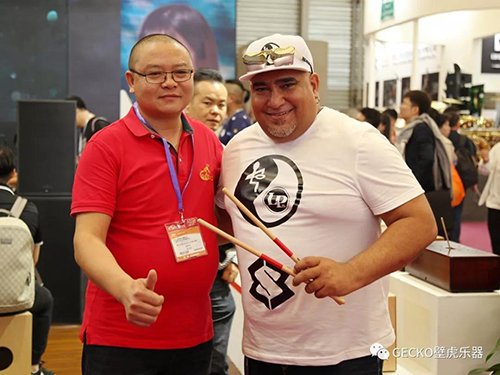 At this time, Gecko has two booths: W3A72 for the Kalimba and E6D01 for Cajon drum.. 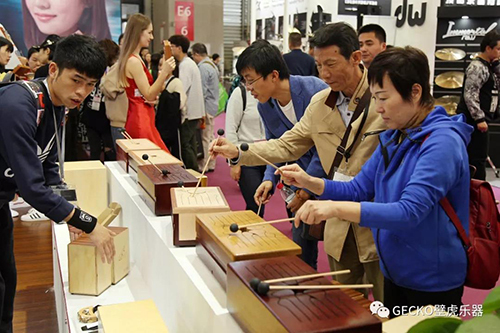 Among them, a brand new product – Tung Drum is also brought by Gecko, it is purely handmade idiophone, the resonance of the sound is through the whole body, when the drum tongue is hit by hand or drum stick, A beautiful tone of resonating sounds will be produced by drum body. 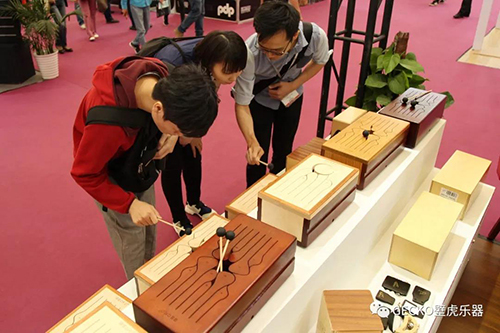 The sound heard is entirely produced by wood itself, and can be matched with any melody or scale. 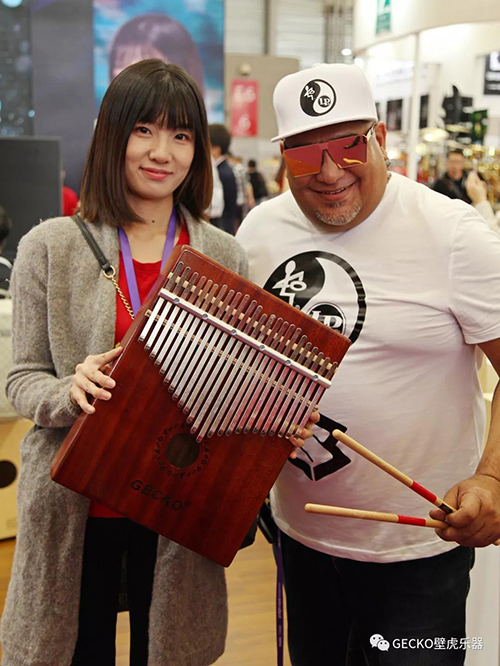 Gecko’s Tung Drum has five models, including five-tone and twelve-tone series. 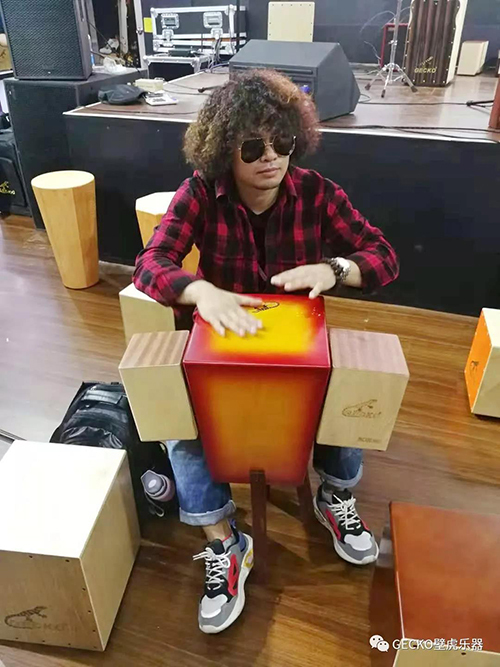 Due to the novel appearance and wonderful sound, Tung Drum attracted a lot of music lovers, and they took the drum stick and knocked on this amazing thing. 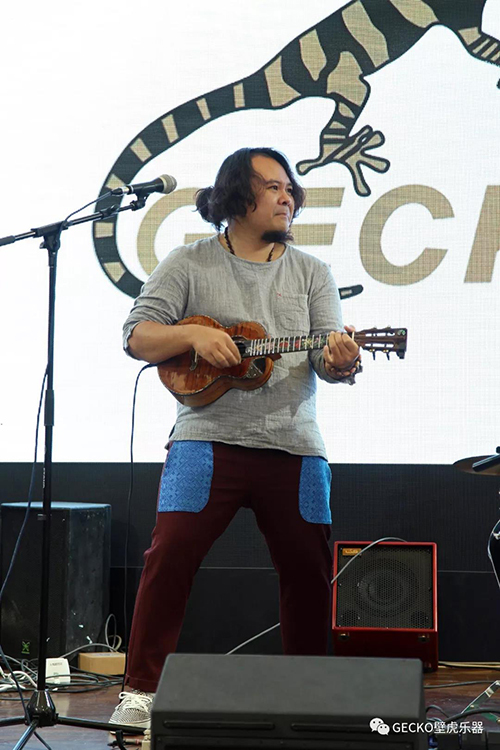 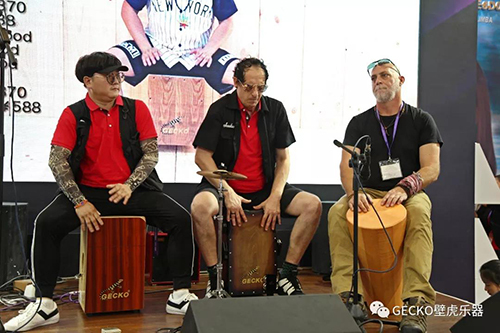 Cajon Drum, Kalimba, Tung Drum, Guitar, Ukulele… In the four-day exhibition, Gecko Musical Instrument showed everyone how to play various percussion instruments and how to achieve the best tone. 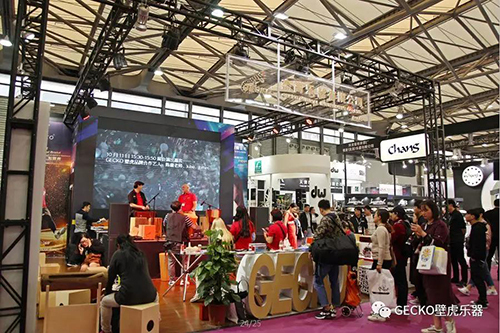 Everchanging performing way by Gecko Group every 20 minutes, Gecko’s capacity density is beyond the reach of the average exhibitor. 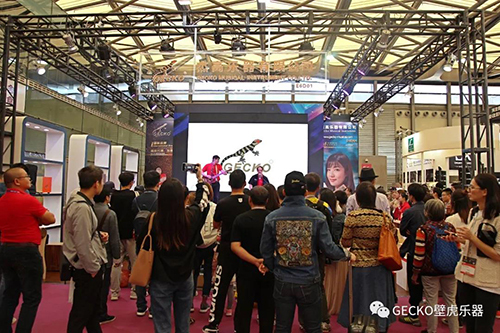 Chen Tong(Chinese tap dance godfather) , Yang Abao(pioneer of the development of domestic thumb piano) and JAMES, Rusty, Juba,Max, Kevin(“Transformers” film music producers) are all invited as performing artists by Gecko musical instrument to achieve the best presentation. 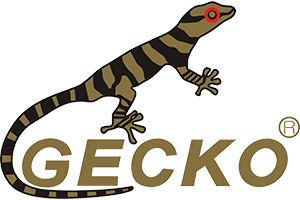 The high pursuit of Gecko has won the collective chase-after of the participants. 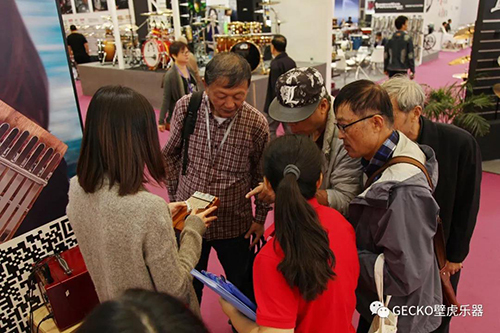 In terms of visit flow every day at Gecko booth, it is undoubtedly one of the most popular booths at the show. 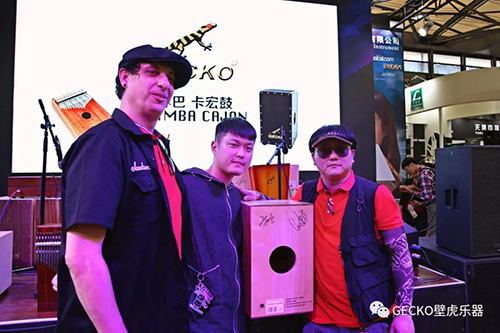 The bustling crowd gathering at the booth of Gecko were either attracted by the lively performance of the scene, or by Yang Abao and Chen Tong’s amazing performance, or due to the good reputation of Gecko Kalimba and Cajon. 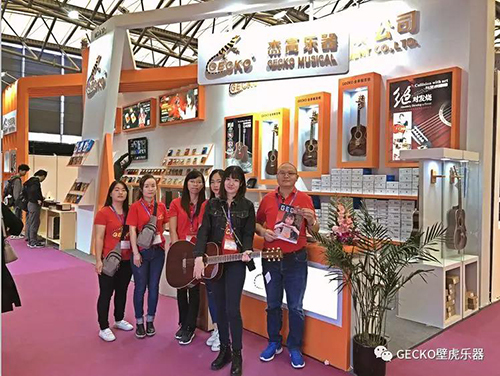 To some extent, 2018 Shanghai Music China Exhibition is GECKO’s special show, It lasts 4 days, everyday, it is surrounded by people who love music; Every day, it shows everyone a different kind of excitement; Every day ,Gecko’s attitude to musical is showed perfectly… Although 2018 shanghai Music China has come to an end, Gecko’s splendidness will not stop. 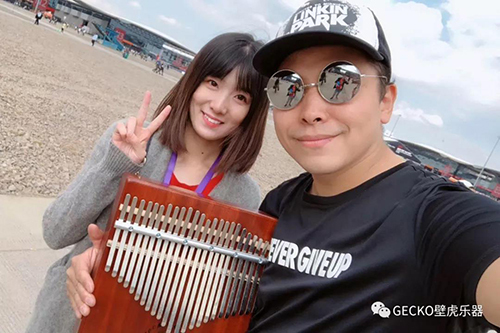 Just like four-day unstopped show, Gecko’s attitude to music has gained respects and good comments from millions of people. 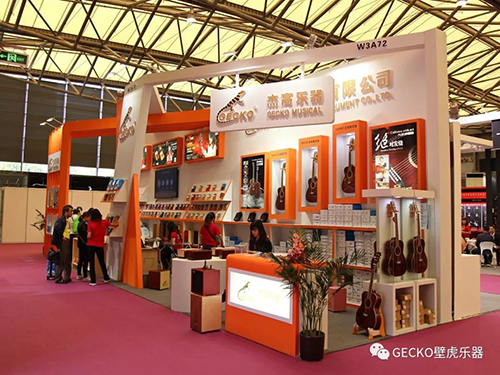 Actually, this pursuit of music also infiltrates Gecko’s brand culture: Best Quality(Best quality, Taste life). 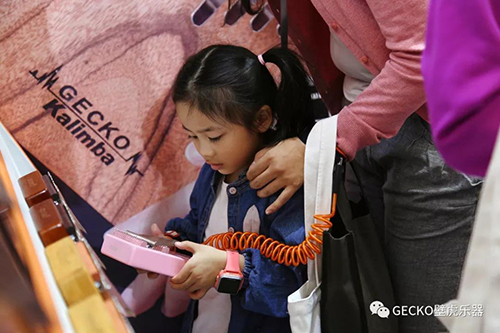 Every day in the future, Gecko will continue bringing a different sound of music to the world!